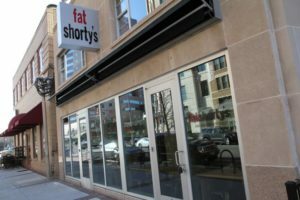 (Updated at 3:20 p.m.) Hoa Lai, the executive chef of the Four Sisters Vietnamese restaurant, will be opening “Four Sisters Grill” in the former Fatshorty’s space in Clarendon. In November, we reported that permits were filed for a “Thaiger Asian Bistro” in the space at 3035 Clarendon Blvd. Now it appears that those plans have changed and “Four Sisters Grill” will be opening instead. Lai has been executive chef at Four Sisters, now located in Merrifield, for more nearly 15 years. Arlington Magazine called Four Sisters, which is owned by Lai’s parents, “arguably the most sought-out Vietnamese eatery in the D.C. area” in a profile last year. Lai tells ARLnow.com that Four Sisters Grill will be a fast casual version of the original Four Sisters restaurant. It will serve about 20 menu items, compared to the nearly 200 items at the Merrifield restaurant. Menu items will include “hearty, quick and simple” Vietnamese food like banh mi sandwiches, vermicelli noodles and rice-based dishes like lemongrass chicken. The dishes will be large and will come with lots of vegetables, Lai said. The menu will be budget priced, with entrees ranging from $5 to $12, or about $7-8 on average, he said. Lai is hoping to open the restaurant, complete with a brand new interior, by the end of February. A building permit was applied for late last month.